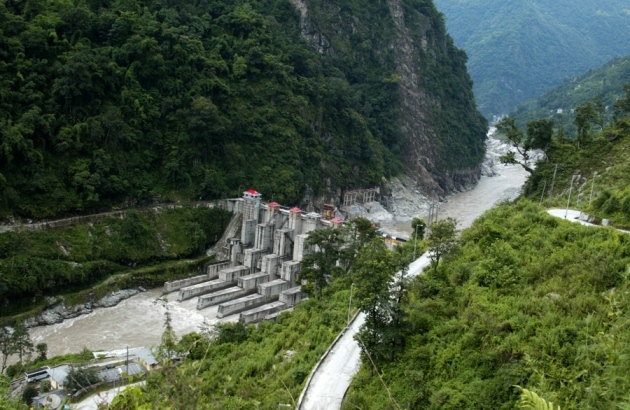 Foundation of Power (Energy) sector in Sikkim was laid on 27th May 1927 with the commissioning of first micro hydel project at Ranikhola near Gangtok with the installed capacity of 50 KW. During this era, activities under power sector in Sikkim were not at all significant. Till the year 1954, operation and maintenance of power supply system were managed with the help of a foreman and an electrician, under the supervision of Sikkim Public Works Department. In the year 1957, keeping in view of growing demand for electricity and as a standby measure, a Diesel power house was established and commissioned at Gangtok with a capacity of 257 KW.The then Prime Minister of India late Pandit Jawaharlal Nehru inaugurated it on October 1, 1958. Following this development one more 150 KW SKODA Diesel generating set was added in this Diesel Power House. The year 1974 witnessed an important historical event in Sikkim. Following a Political upheaval Sikkim joined the mainstream of the Indian Union on May 16th 1975 as the 22nd state of India. Ever since Sikkim became a part of India there has been all round development in the state. Since then the sector has achieved the tremendous mileage in terms of installed capacity coupled with the Transmission & Distribution networks virtually connecting the every household in Sikkim. Sikkim with its picturesque landscape and amazing terrain has some of swiftest rivulets system has a huge power potential. The Energy & Power Department of Sikkim is engaged in the generation of electricity, its transmission to various load centers and finally distribution to the consumers of all categories. As a whole the Department is responsible for the development of power project in the state in order to meet the ever growing requirement and raise revenue from there. Now with the liberalized power policy Sikkim is poised to gain in a big way. With the opening of this sector for private developers, Sikkim can look forward for developing and exploiting its huge Hydro Power Potential which has been assessed to 8000 MW Peak with a firm base of 3000 MW. At present the total Installed Capacity of the state is 95.70 MW. Total hydro power potential in the state so far is 5352.7 MW and they are in different stages of implementation. Source: Energy & Power Department, Government of Sikkim.